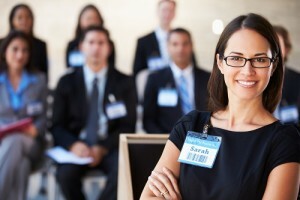 The Leader’s Institute® offers a variety of public speaking courses and presentation training seminars. In addition, we also have a vast library of free presentation tips and articles. We are most known for our Fearless Presentations® public speaking course which is a two-day seminar offered in cities all over the world. However, we also offer a series of customized public speaking courses that can tailored for the specific needs of your group! Finally, if you are on a budget or if your time is limited, you can purchase individual sessions of any presentation seminars from our online store. 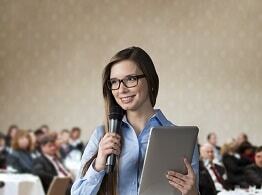 Our goal is to help everyone overcome the fear of public speaking. So, we have a solution for every budget (including a number of Free Tips and Videos) and every experience level. Click on any of the titles below to find out more details about each process, program, or event. If you have a group of people who you’d like to train together, then a customized public speaking class is a great solution. Our certified instructors have over 30 presentation skills modules that you can choose from to create a custom or tailored solution specifically designed for your group. As a result, we have an almost unlimited number of presentations available. This type of tailor material is typically more welcomed by corporate groups. In addition, custom programs are more cost-effective. Custom classes work best for groups of five people to 12 people, but we have led on-site seminars for groups as large as 500 people. For more information, click here: Custom or Onsite Public Speaking Courses Tuition starts at just $3995 for a one-day session.